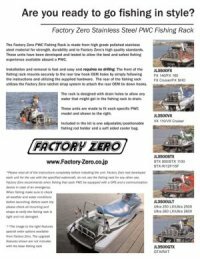 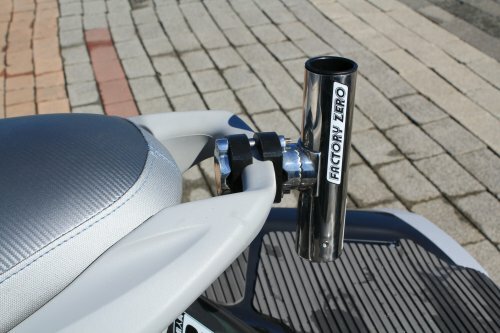 The Factory Zero PWC Fishing Rack is made from high grade polished stainless steel material for strength, durability and to Factory Zero's high quality standards. 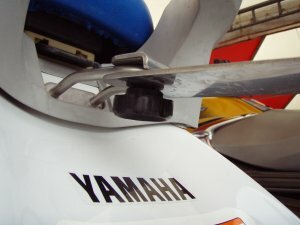 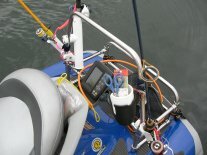 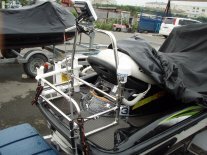 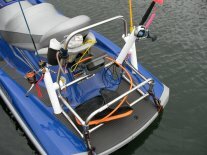 These units have been developed and tested to allow the best and safest fishing experience available aboard a PWC. 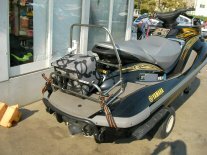 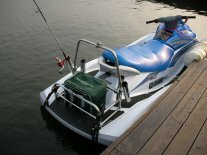 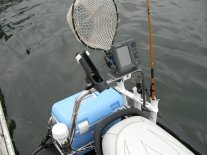 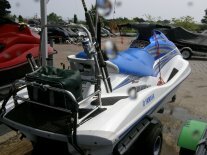 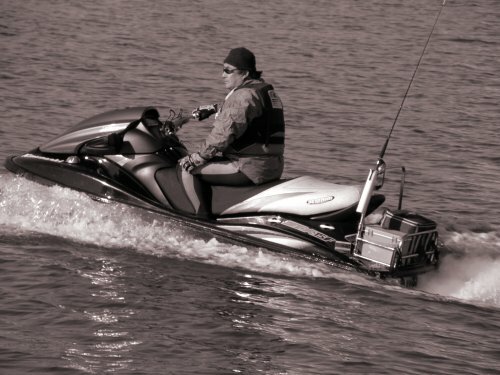 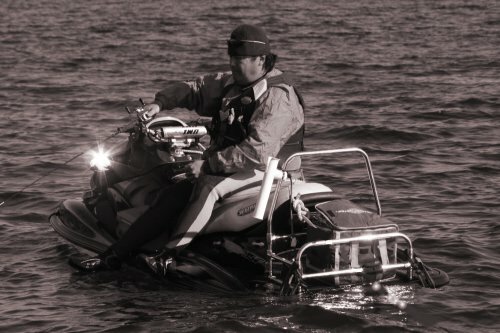 ※A fish finder, GPS, net, rods, reel not included. 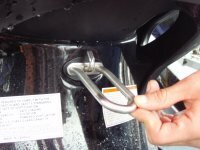 Installation and removal is fast and easy and requlres no drilling. 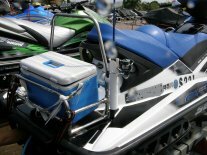 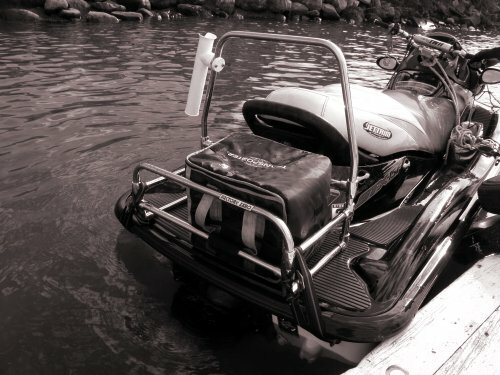 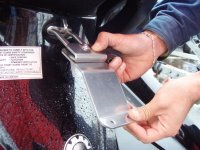 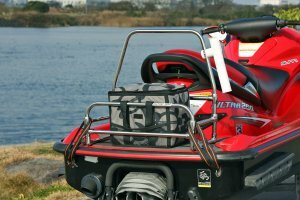 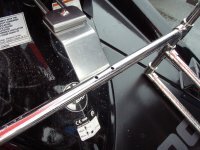 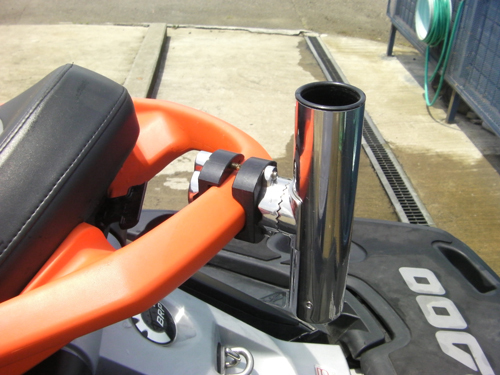 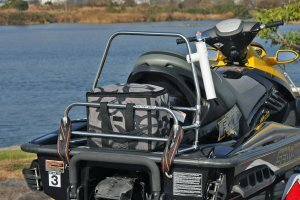 The front of the fishing rack mounts securely to the rear tow hook OEM holes by simply following the instructions and utilizing the supplied hardware. 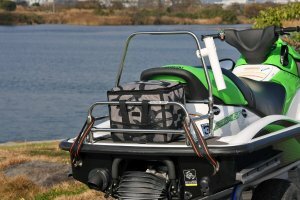 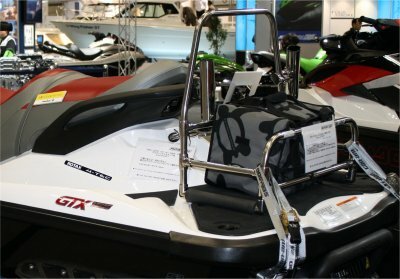 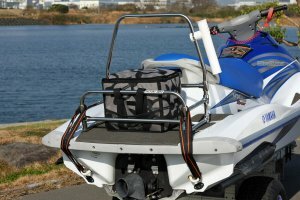 The rear of the fishing rack utilizes the Factory Zero ratchet strap system to attach the rear OEM tie down hooks. 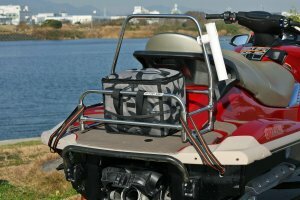 The rack is designed with drain holes to allow any water that might get in the fishing rack to drain. 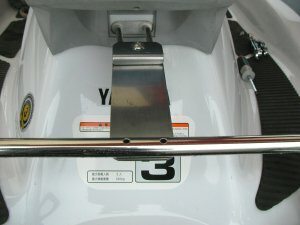 These units are made to fit each specific PWC model and shown to the right. 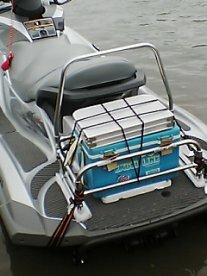 Included rod holder and a soft sided cooler bag. 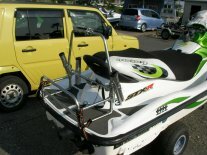 as, is, wake is not use. 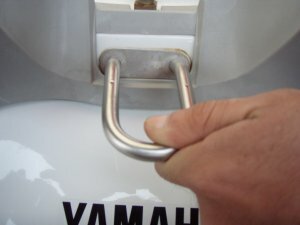 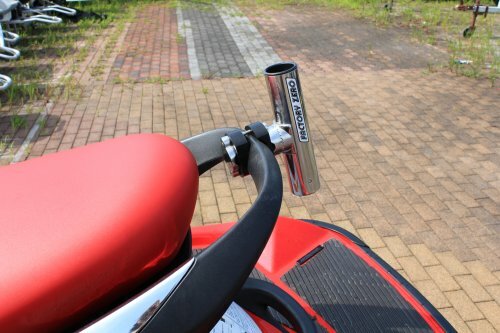 Clamp rod holder can easy fitting. 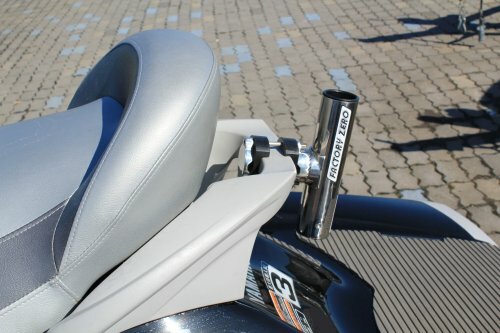 This Clamp rod holder is for each model shape fitting. 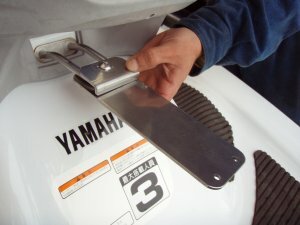 Just clamp to glove handle with bolts.